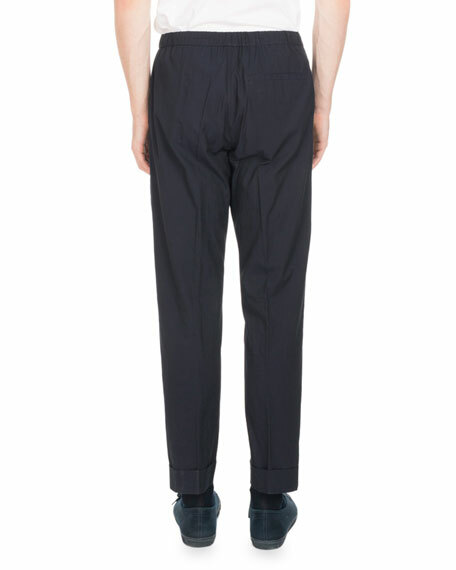 Dries Van Noten pants in textured cotton. For in-store inquiries, use sku #2460604. 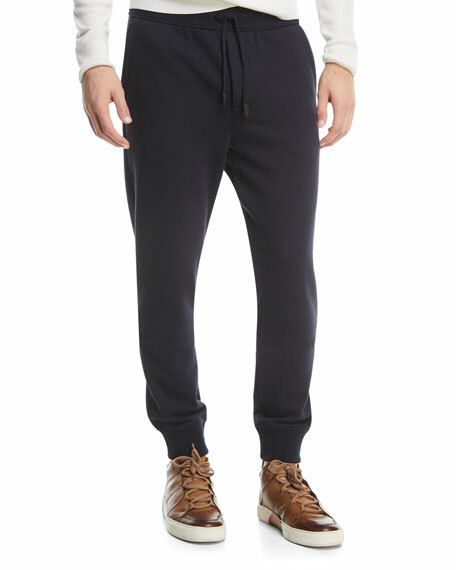 Ermenegildo Zegna jersey-knit jogger pants. Side zip pockets; back welt pocket. 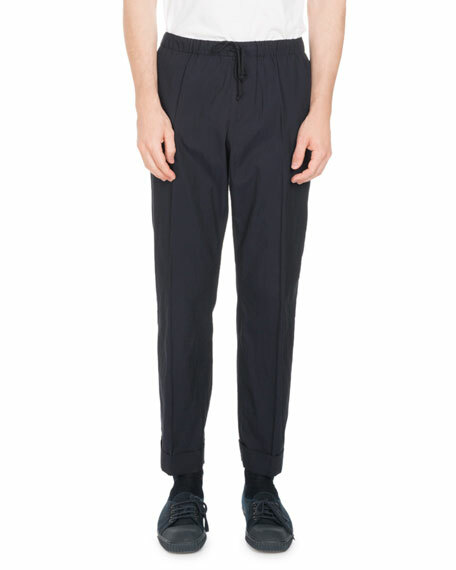 Elasticized, drawstring band sits at waist. 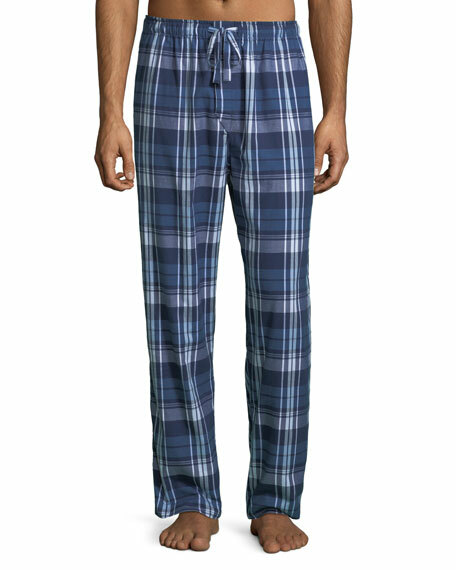 Relaxed rise; slim fit through tapered leg. Ribbed ankle cuffs. Pull-on style. Cotton/polyester. Cotton insert. Leather trim. Imported.